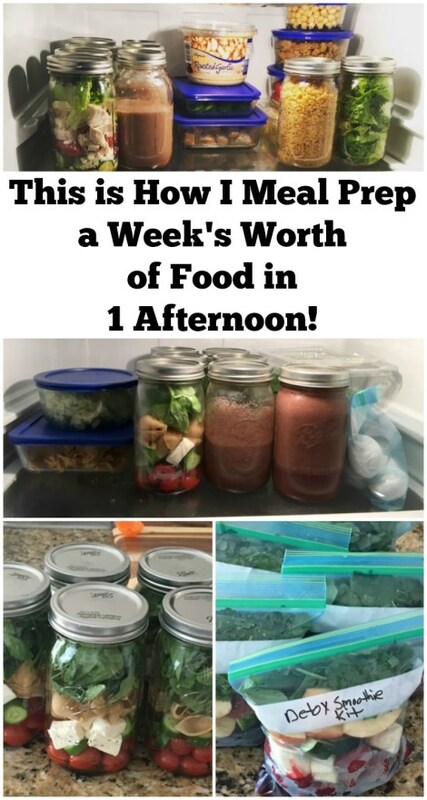 The author of the great site, Organize Yourself Skinny (www.organizeyourselfskinny.com), says that prepping food ahead of time has been the #1 one strategy she’s used to make certain her family eats healthy meals and snacks throughout the week. The reason behind this strategy? It’s much easier to eat nutritious foods and control portions when you take the time to prepare food in advance. We all know that when healthy foods are ready and available we are much more likely to eat those foods instead of ordering out or stopping at the store for a “quick snack”. Having healthy choices available and prepping ahead isn’t really new news. But I read on anyway. What excited me was that she doesn’t just whip up batches of casseroles to stuff into the freezer. I really liked the variety of things she came up with. 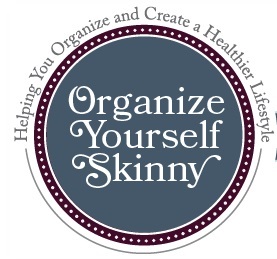 The Organize Yourself Skinny (OYS) author uses a very basic 2-step approach: 1) plan and 2) prep. The plan part involves creating a week’s menu that includes snacks. They then make a grocery list off this menu. 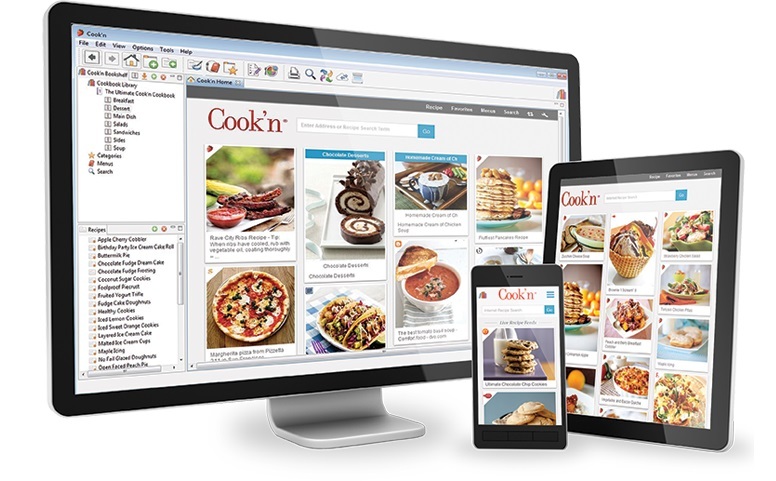 We’d use our Cook’n (www.dvo.com) for all this, right? Start right away with chicken in the slow cooker. 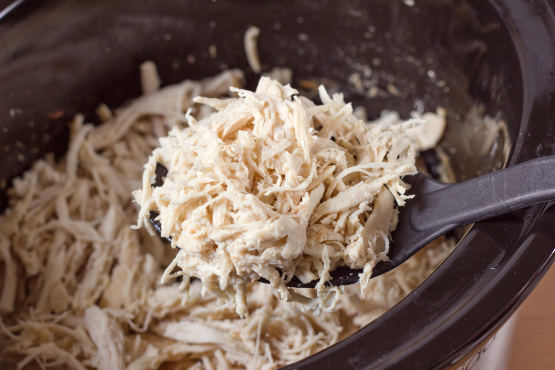 The aim is to create shredded chicken. Once the slow cooker is going you don’t need to think about it for 4-6 hours. 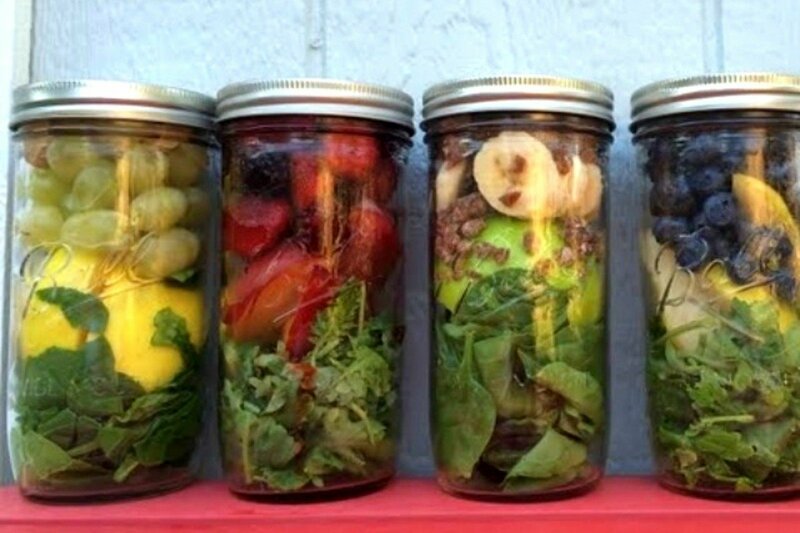 Next prepare Mason jar salads. Your week will run smoother when lunches are made in advance. 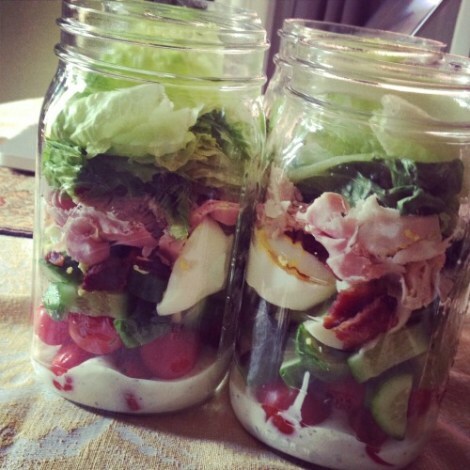 Therefore, Mason jar salads are one of the first recipes to get made to guarantee they get done. Then put together the green smoothie kits. Then prepare breakfast for the week. Green smoothies, steel cut oats, breakfast burritos, and homemade granola bars are a few ideas. The oats take about 45 minutes to make so you can have those going while preparing the Mason jar salads or snacks. 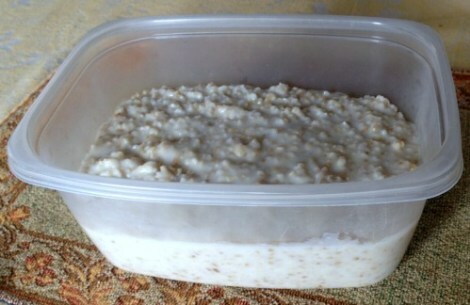 OYS’s author makes her steel cut oats in the slow cooker. She starts that slow cooker recipe along with the cooker that’s taking care of her chicken. (Yes, she has 2 slow cookers, and she makes a strong case for everyone having at least 2.) Once the oats are finished, place them in a refrigerator container and allow to cool before covering and refrigerating (or freezing). Next move on to snacks. 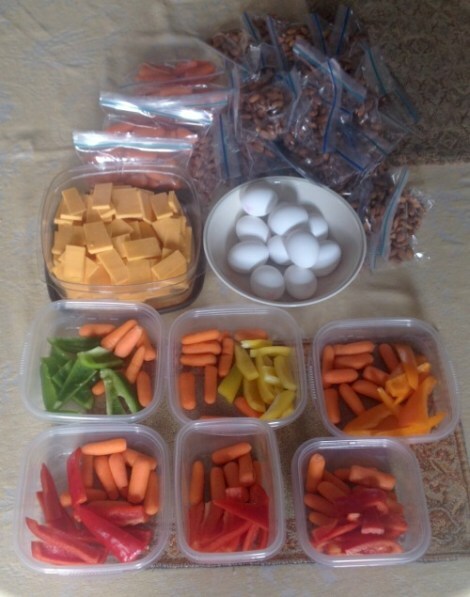 Cut up and individually packaged fresh veggies, hard boiled eggs, and bagged raw nuts are just a few choices. The overall idea, though, is to prep healthy and satisfying choices. Lastly, prep the rest of proteins to be used throughout the week. 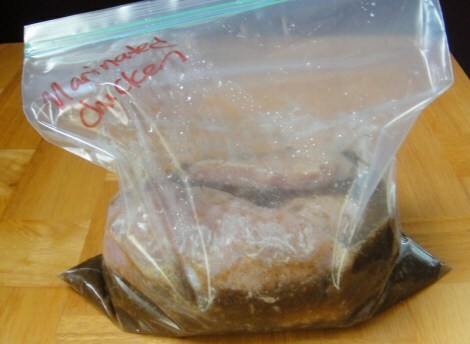 For example, trim and cut up chicken so it’s recipe-ready, place anything needing marinating in a plastic zippered freezer bag with marinade to cover it, and either refrigerate or freeze (depending on when during the week you’ll be cooking it). And that’s the routine. The OYS author says “I swear by food prep and truly believe if you are trying to change your eating habits you should give it a shot.” I’ve followed her example and totally agree. It takes just one afternoon a week to prep your way to healthy and easier eating!